MCTV is pleased to recognize Give Pets a Chance as our February Organization of the Month in Wayne County. 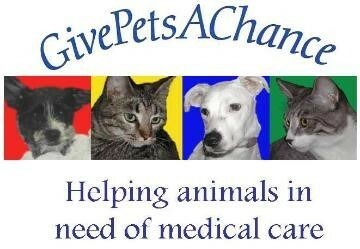 You can support them financially at our office throughout the month of February or online at www.GivePetsAChanceUS.org. Give Pets a Chance is a nonprofit organization that provides financial assistance for the medical care of animals to individuals who otherwise could not afford it. The organization also provides information to the general public on topics of animal care and welfare. Give Pets a Chance is a collective group of individual animal lovers voluntarily coming together, donating their time and resources, to help animals. Give Pets a Chance is making every effort to provide information on low cost spay & neuter programs to the public. Our Have a Heart Program provides low cost spay/neuter services to pet owners. Call 440-232-9124 on Mondays between 10:00 AM and 4:00 PM, and Thursday afternoons until 4:00 PM. For Feral Cat assistance, call on Wednesday afternoons. Give Pets a Chance would not be able to operate without the help of kind and generous people like you. Your donations will help provide the financial assistance needed for the medical care to animals. The GPAC preferred contact method is by phone: (330) 201-1757. This will allow GPAC to service your request in a more timely fashion.